4.54 billion years ago (2449 miles) – the Earth is formed. 4.50 billion years ago (2428 miles) – the Moon forms after Earth is hit by a planet-sized body. 3.95 billion years ago (2132 miles) – the World’s oldest rock forms. 3.80 billion years ago (2050 miles) – the beginning of life: first evidence of replicating molecules. 3.40 billion years ago (1835 miles) – the first photosynthetic organisms convert near-infrared light to sulfur or sulfate. 2.70 billion years ago (1457 miles) – oxygen-producing cyanobacteria emerge. 2.50 billion years ago (1295 miles) – a significant amount of oxygen begin to build up in Earth’s atmosphere. 600 million years ago (324 miles) – multi-cellular organisms evolve. 465 million years ago (250 miles) – plants colonize the land. 370 million years ago (200 miles) – amphibians emerge from the water. 250 million years ago (135 miles) – the Permian-Triassic extinction causes 99% of life on Earth to perish. It is the Earth’s most severe known extinction event. It was so big that it is the only known mass extinction of insects. 230 million years ago (130 miles) – the age of dinosaurs begins. 200 million years ago (108 miles) – Pangea breaks apart and eventually forms 7 continents. 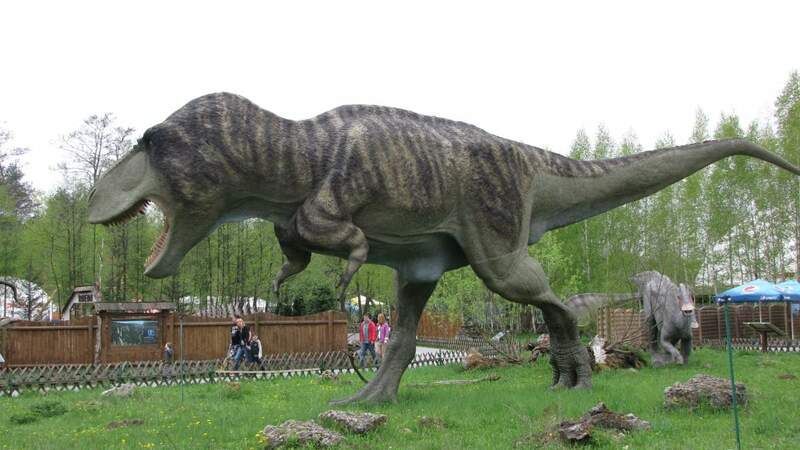 67 million years ago (36 miles) – Tyrannosaurus rex and Triceratops evolve. 66 million years ago (35 miles) – K-PG mass extinction wipes out the dinosaurs and two-thirds of all species. 60 million years ago (32 miles) – with dinosaurs gone, mammals flourish. 6 million years ago (3 miles) – hominins diverge from chimps. 1.8 million years ago (1 mile) – early humans craft cutting tools from stone. 200,000 years ago (570 feet) – modern humans evolve. 10,000 years ago (28.5 feet) – the agricultural revolution begins. 5,500 years ago (15.7 feet) – the beginning of the recorded human history (writing). 2,000 years ago (5.6 feet) – Jesus is crucified. 523 years ago (1.5 feet) – Columbus sails to North America. 239 years ago (8.2 inches) – The United States declares independence. 75 years ago (2.6 inches) – World War II. 25 years ago (0.8 inches) – The start of the information age.